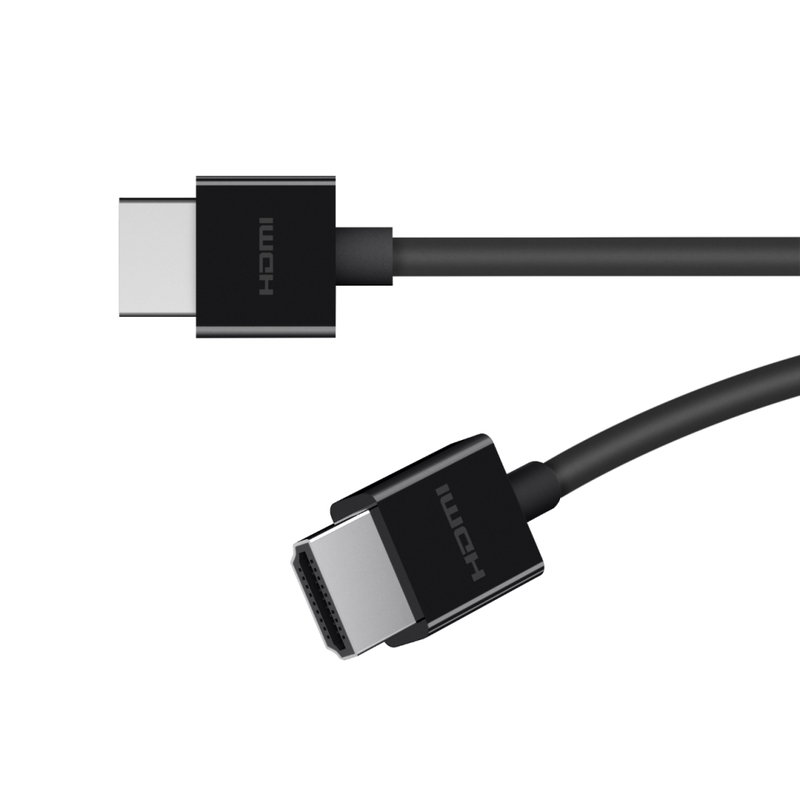 Ultra HD High Speed HDMI® Cable is rated 3.9 out of 5 by 23. Transform how you experience movies, TV shows, and video games. 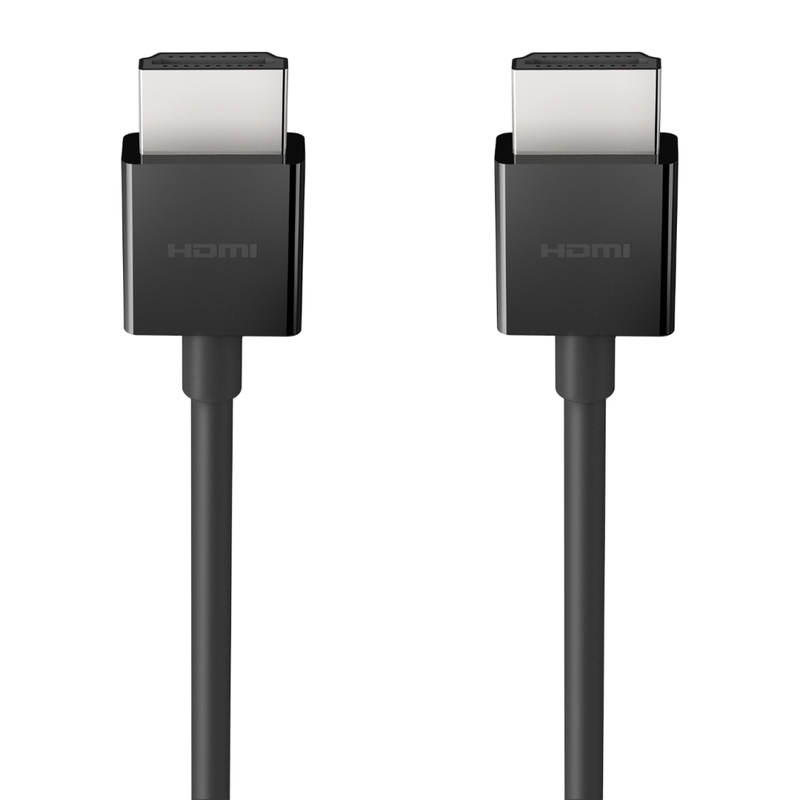 This Ultra HD High Speed HDMI cable supports the highest resolutions, refresh rates, and most immersive viewing experience available, including compatibility with Dolby Vision™. This advanced high dynamic range technology offers unmatched brightness, contrast and color. To experience it fully you’ll need every link in your viewing chain to be Dolby Vision compatible, from streaming devices such as Apple TV 4K to UHDTV or A/V receiver and your HDMI cable that brings them together. 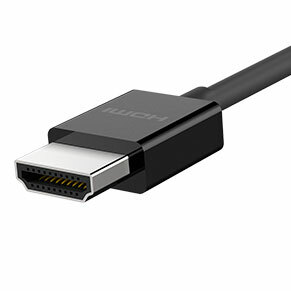 This Ultra HD High Speed cable is up to the task and compatible with any HDMI device, just plug in and enjoy the next generation of high definition home entertainment. An amazing new television and movie experience from the comfort of your living room. Many of your favorite movies and TV shows are already available in Dolby Vision with media streaming companies like iTunes, Netflix and Amazon creating new shows in Dolby Vision. 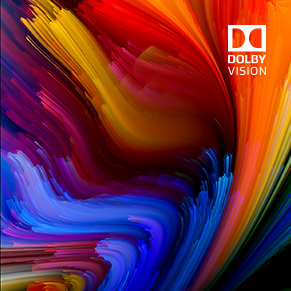 Dolby Vision leverages HDR (High Dynamic Range) and wide color gamut imaging technology to deliver all new levels of depth and realism. Dolby Vision makes a difference on any resolution or screen size because it improves each pixel. 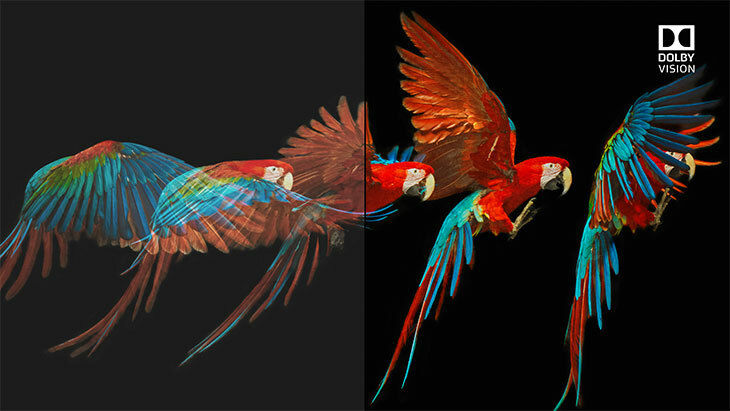 With screen brightness and illumination, a sharper contrast between darks and lights, and billions of colors, it brings the images on your screen to life like never before. The Ultra HD High Speed HDMI cable from Belkin is prepared for Dolby Vision, and more. Future-proof your home entertainment with a cable that’s ready for the next generation of audio and video. The enhanced, lifelike content of Dolby Vision needs an ultra-reliable connection to stream smoothly between streaming devices and your TV or display. 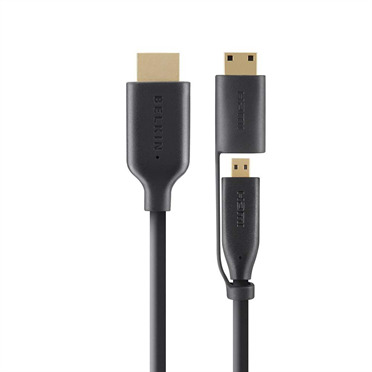 Belkin’s Ultra HD High Speed HDMI cable is up to the task, delivering a faster refresh and eliminating motion blur, for the best possible viewing experience. 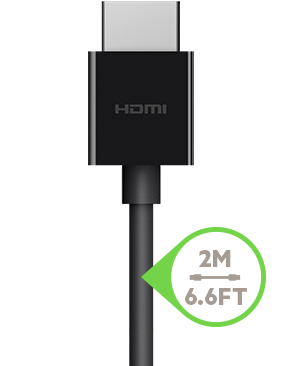 Designed to fit seamlessly into your home environment, this minimal, 2-meter cable is the perfect length to connect your laptop or streaming device to your UHDTV set up. 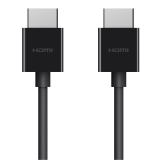 Rated 5 out of 5 by Chalilu from Excelent HDMI Cable Woao a wonderfull cable , it’s perfect To my AppleTV 4K & My Sony Bravia Oled AF8 55”, the picture and color and performance is ok. Rated 1 out of 5 by N i j from Over priced Cheap Cable. Very disapointed with this. 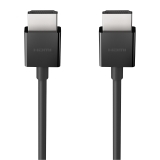 I expected better from Belkin for the price. I bought this Top of the range HDMI Cable expecting much much better from Belkin, especially at the massively excessive price !. The cable is stiff like welding wire, you can actually form it in shapes and it will stay there !. The connectors are plastic and look cheap. Save your self a lot of money, buy one for less than a tenner, with braiding if you want it, and get real Gold shiny bits on the plugs to boot ! Rated 1 out of 5 by Jack123 from Won’t work with Apple TV and Sony TV Iv used these cables since release. The Dolby vision logo starts rebooting and the screen turns black all the time. 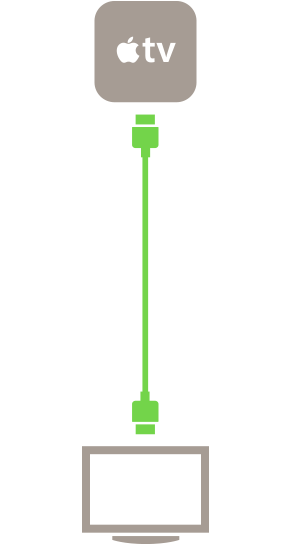 I have 3 of these cables and they all produce the same result. Troubleshooting tells me that the cables aren’t fully compatible with Dolby Vision 60 Hz. When i check the connection the problem goes away. But almost every day is the same. Rated 5 out of 5 by FRANKZUNIGAONE from best hdmi Best investment I made for my LG SK9000 now I have the best picture!! 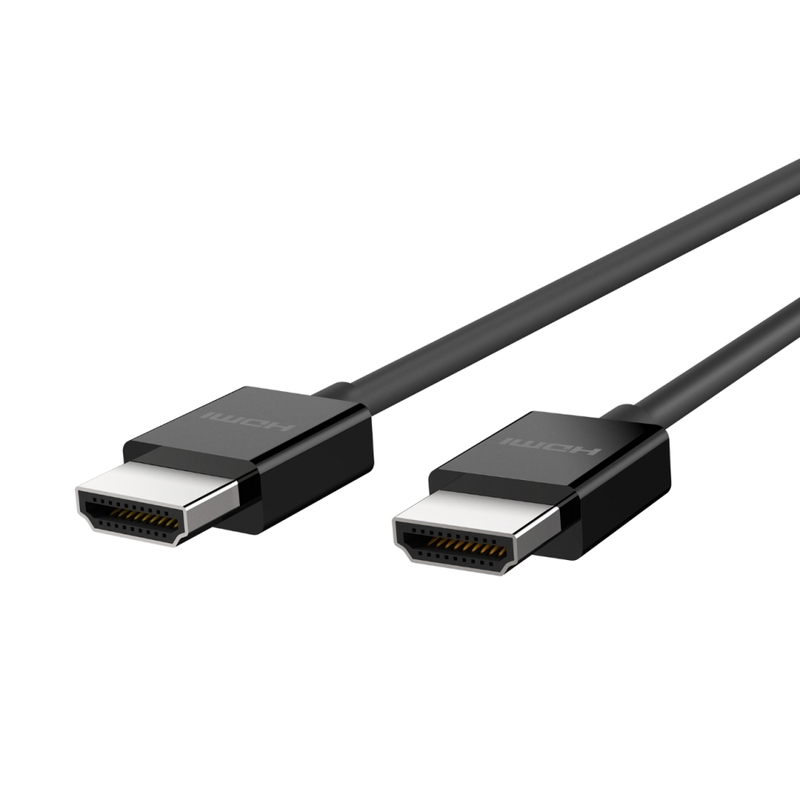 Rated 3 out of 5 by Ahiskol from Not perfect for XBOX ONE X This cable looks good but transferring the frame rates not at its best. Rated 5 out of 5 by BIR Bob from Wow Over the years, I can't even tell you how many HDMI cables I have bought for all of my devices. Not to mention all of devices my (adult) kids have. All of them bragging how great they are and how much better they are compared to everyone else. But when I tried them, they all seemed the same. I never noticed any change on any of them. I began thinking all cables were the same. When I read everything I could find on these cables, I decided to give them a try. I bought 10 of them for everything I have hooked up in the living room, along with 2 extra in case I need them for anything else. So, I hooked everything up, and I couldn't believe the difference. I didn't tell my other half that I changed the cables. When she came home and turned on the TV, she said "Wow, did you do something to the TV?" She really doesn't pay attention to detail like I do when it comes to electronics, but these cables impressed her. It was like getting a new TV. I told her what I did and now she wants (and this is the first time I ever heard her say anything about any electronic product I have purchased), me to get some more for the TV in the bedroom. So, I guess I found a use for the 2 extra I bought, and I'm allowed (you guys know what I'm talking about), to buy more. 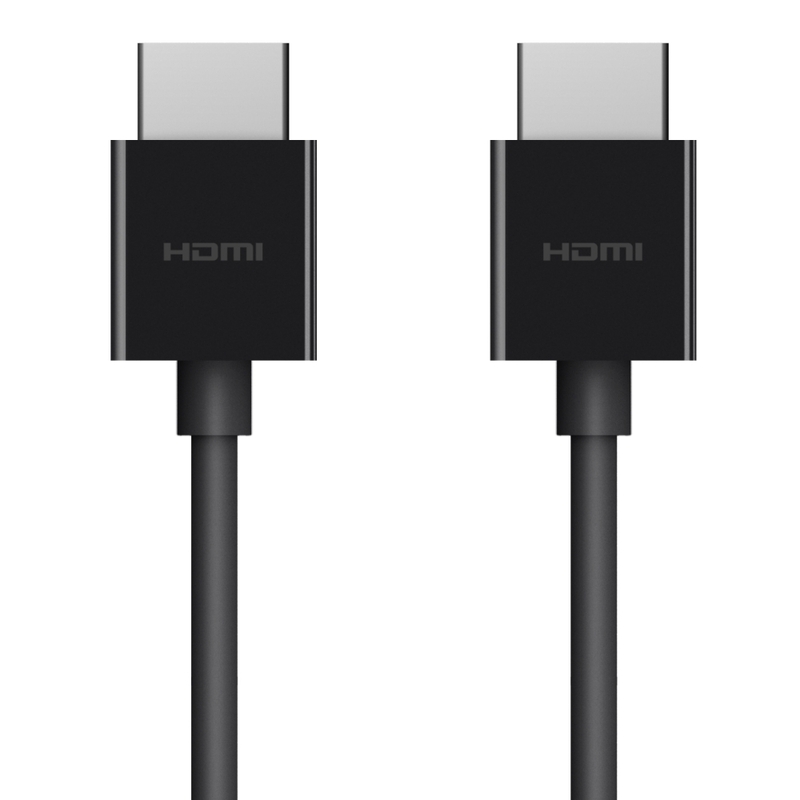 So everyone, if your TV and devices are not what you think they should be, try these HDMI cables. You won't be disappointed. Rated 1 out of 5 by VeryUnhappy from Doesn’t work with Dolby Vision or HDR Connect Apple TV 4K to Vizio 4K Quantum, only show option for 4kSDR. Tried a cheaper high speed cable from Amazon works fine. Save your money by get the cheaper cable. Their Tech Support said it may not be compatible with Vizio TV. Very disappointed.